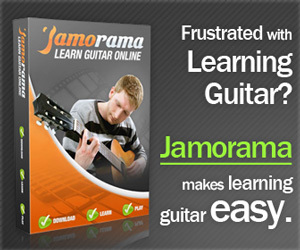 Beaten up with the conventional way of learning how to play an acoustic guitar without even perfecting a single tune? Are blisters forming on the tips of your fingers and yet nothing’s making sense? Maybe you have to double check your resources or better yet, yourself. There must be something terribly wrong with the way you handle your guitar. Here are some of the numerous ways to learn play an instrument as lovely as an acoustic guitar. All you need is a piece of pick, your own or borrowed guitar, and a lot of patience. Well, a couple of manuals will do and if you’re not satisfied with that, an internet access. First, you have to make sure that your guitar is properly tuned. Nobody would dare listen to a complete mess. If you don’t know how, find someone who knows. Then choose from the wide variety of resources. You could search for a private teacher, go online, or settle on being alone with your references like books and manuals. Examples of private tutors are those whom you know, friends, neighbors, your relatives or someone who is paid. An online opportunity is endless. Some sell you copies of their video recorded lectures others are on the spot. Still, your choice. After which, find the right spot to play in. It has to be comfortable. Your guitar must be supported, if not by your thighs. Hold it steady maintaining your right hand on the strings just above the sound hole and the left hand on the fretboard. Now, a lot of suggestions were implied by numerous guitarists who had your position once before, a beginner. They suggested that, above everything else, you have to use those two organs hanging on the side of your head just below your temporal lobe, your ears. Right. Of course you have to use other important senses, like your eyes. That would be a very positive view. But what about those who are blind? Haven’t it occurred to you that at some way they have mastered the art of playing a guitar without even seeing what it looks like. They just follow their instincts and feel the chords. Yes, they listen. Listening. One of the most effective ways of learning. Remember you’re handling an acoustic guitar. It doesn’t require any of those crappy contraptions just to make music work. You need more than an amplifier to change your voltage of music current. All you need to do is effectively listen to the melody and determine whether you’re getting the tunes right. In the event that practicing goes wrong and absolutely mystified, you could always go back to the drawing board. Memorize the chords. The emphasis on your memorization must be on the basic. The C,A,G,E,D chords are considered as the building blocks to your bountiful success in guitar playing. Not only are these chords easier to achieve but they are included in most of the songs played nowadays. Surprisingly, including R & B. Keep on practicing with these basic chords. Try it without looking. That would be able to help you figure out if you’re strumming the wrong way. Feel your strings tremble and stop. You have to take control of your music. These various ways of playing isn’t the exact key to learn but only a guide.